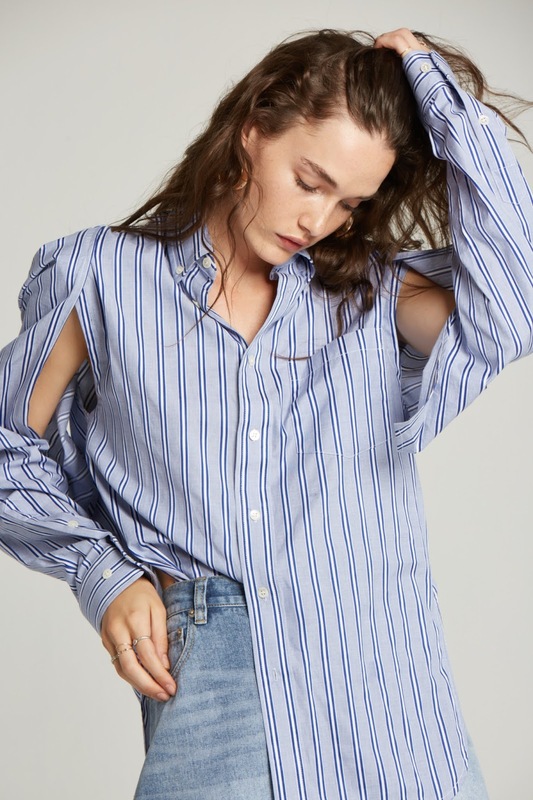 When it comes to building an incredible wardrobe, Few Moda is key for certain staple pieces: denim essentials that’ll see you through any kind of holidays, bold colours that go from weekday to weekend in a flash and, of course, versatile statement sleeves. Which is why I am currently looking to Few Moda for new-season outerwear before the new season even arrives: Being one step ahead is my game, and Few Moda is my number one choice for beautiful pieces to become infatuated with. The good news? The brand has a summer sale where everything is 50% off with promo code FINAL50 at checkout. Who doesn’t love a promo code? I know I can’t get enough of saving and getting a really amazing deal. Brace yourself when you are traveling this time of year. You don’t have to go out of your mind looking for the perfect outfit. When you are relaxing on vacation you don’t need to overdo it. This is the time to be fresh-faced and just enjoy the cool breeze. To put a classic feature into perspective what better way then adding some Parisian glam with a white show off your shoulders shirt. Taking a classic and reworking it for a street style close up is magnificent. You can accessories white with some added colour and texture of prints. To me an urban city jumpsuit can be your best versatile item to own in your wardrobe. Why? Because a bold colour can transition from summer to fall in a matter of seconds. Plus, you can wear this item during the day for early lunch with the girls. Then turn around and wear it for a nice cocktail party with some flare. It is really beautiful and the fabric is so silky and soft to the touch. The best part is the free shipping on your order. White is perfect for summer but it can also sing its way into fall. If you have a fear of spilling red wine or those chocolate covered biscuits on your lighter garment don’t fear. You only live once in life, so live day by day with joy and flourish in a ravishing cooler look. This white dress gives casual dressy to another level I am defiantly adding this to my list. Velvet is one of those fabrics people either smile at or feel it reminds them of an outfit from the theatre in the 1920s. For me, I adore this style it lights up the most casual attire and brings it to a dressier effect. Casual dressy tends to be my favourite way to dress ever since I was born to be honest. And being glamour’s is another fun excuse to buy another outfit, accessory, or even another pair of shoes. What items from the new collection are your favourite? And will you be adding any to your wish list?